work, MJ Bale and the David Jones Christmas campaign. The agency has had no lead creative since the departure of ECDs Wesley Hawes and Gary McCreadie at the start of the year. It appointed former M&C creative boss Andy DiLallo in February and he started in June. Matt Springate was hired as its chief strategy officer from Grey London in April, following the departure of long-time strategy head Hristos Varouhas, who was promoted to global planning director for Apple at Media Arts Lab\TBWA Los Angeles. 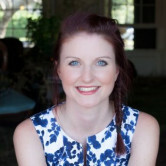 Varouhas had spent eight years at the Sydney agency. For the past three months the new senior leadership team have been cementing their position, approach and plan of attack for the agency. It’s first major win, following the new approach and new leadership team, was the global Woolmark account, which was revealed by AdNews earlier this month. Just over 90% of the world's wool comes from Australia so it’s fitting the account should be represented by an Australian agency - which beat two New York shops and two London shops in the global pitch. There’s also something poetic that the account is handled by an agency which is based in a former woolshed in Sydney’s Pyrmont, has metal statues of rams in its offices and quirky ram’s horn shaped door handles. Over the past three months the team have zeroed in on what it is they stand for, what defines them as an agency and how they deliver that for clients. Bradbury, Springate, Di Lallo and Lotus talked AdNews through their mission statement. It’s the first major strategic shift for the agency since its founder Scott Whybin left 18 months ago and it's a year since the Whybin name was axed. Globally TBWA is ‘the disruption agency’ and has been ever since Jean-Marie Dru set out the vision in the 90's. 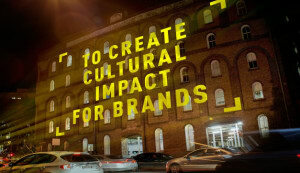 That remains core to TBWA Sydney’s new vision. “Disruption is one of the most famous, well branded agency philosophies. It’s something we are super proud of and clients need it more than ever," explains Springate. "They need our help to find that right space to be disruptive and to build strategies for brands. So our first belief is, it’s always better to be the disruptor not the disrupted. "We want to help clients embrace change and manage that. What we love about disruption isn’t always about the creative work - it’s a mindset - it’s about how you are as a business, how we work with clients and how we work internally." The agency has long talked about creating culturally relevant ideas but is advancing its focus on the cultural ambitions for its work. Bradbury is well aware culture has become a common theme for creative agencies. “Cultural impact is still at the heart of what we’re about, but we want to move it forward a little bit," Bradbury says. "A lot of other agencies are now talking about creating culture. We were probably the first to say that three years ago. M&C pretty much word-for-word ripped our vision off, and lots of other agencies have too, but creativity that moves the word forward, elevates that again." TBWA believes advertising and brand work needs to belong in cultural conversations and says the space it wants to own is “culturally disruptive ideas”. To do that, since Springate and Di Lallo joined, the agency has brought together creative and planning, which they say means the work is much more insights driven. The agency is also tapping into a number of research tools and insight platforms the TBWA network has globally including a trend spotting network, data analytics tools, qualitative research tools, and a five-day sprint programme to facilitate innovation. So the new senior team is in place, their mission statement is sorted and their first win under their belt, TBWA isn’t expecting to be back on the new science bandwagon too forcefully in 2018. “We just want a great body of work that’s recognised and respected for being creatively interesting and very effective,” says Bradbury. It’s been a tough 12 months, admits TBWA Sydney boss Paul Bradbury. The agency’s top creative and strategy positions have been vacant for most of the year with Bradbury and Sydney managing director Nitsa Lotus juggling all the key functions until those roles were filled. Understandably, the agency has been quiet on the new business front, but Bradbury says it hasn't lost any business over that time and has produced some strong work for clients including the recent Foxtel work, MJ Bale and the David Jones Christmas campaign.